The Most Important Metric in Hotel Marketing: Whats Your OMTM?
. but we humbly suggest theres one that should matter more than any other. The One Metric That Matters (OMTM) is a powerful concept derived from a renowned thought leader in Silicon Valley. But the idea transcends every industry and is especially important for serious-minded hotel marketers. And the OMTM doesnt give you a hall pass to ignore other responsibilities or to stop monitoring other KPIs. 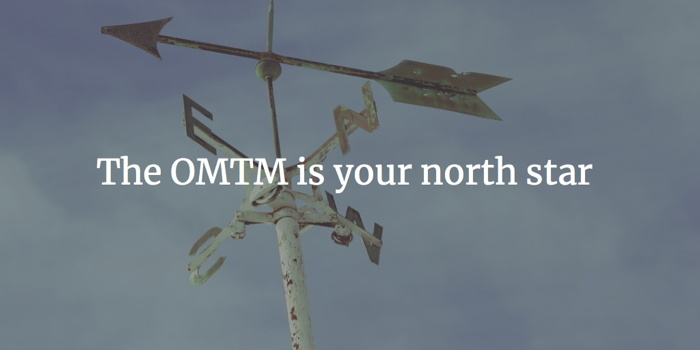 But adhering to OMTM can be a north star that guides you to success in the often confusing and complex hotel marketing landscape. What is your marketing cost by channel? youll need to set a realistic target for the number of new members you hope to gain this year and ensure you have the resources and budget to achieve that target.  By rallying everyone on the hotel marketing team around the OMTM, there should be no surprises when its time to review performance vs budget (or employee reviews). Knowing your OMTM and achieving it are clearly two different things. If your OMTM is relevant and truly meaningful, it will surely take hard work and innovation to achieve it. Inherently, the reason your OMTM exists is because it MATTERS more than any other. And if matters that much, its not going to be easy to conquer. and see how that channel stacks up versus your other campaigns. DRR (direct revenue ratio): Measures percentage of online revenue from direct sources (your website) versus pricey third-party sources, like OTAs. If youre not garnering 40 percent of your revenue from direct reservations, you still have work to do!